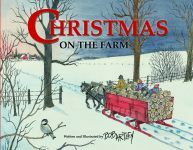 While Christmas stories are traditionally sweet, warm, and fuzzy, not every holiday memory generates a feeling of ease, merriment, and plenty. 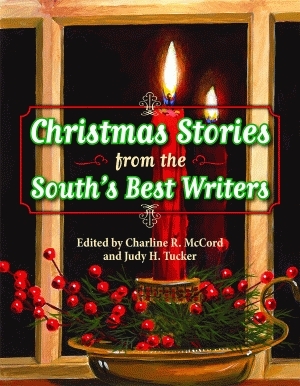 Penned by the capable hands of twelve of the best writers in the South, the stories in this collection challenge, illuminate, and provoke strong feelings as they examine Christmas from a variety of unexpected angles. From the desperation arising from marital separation in “Occasion for Repentance” to a widowed judge’s attempt to open his heart in “The Amaryllis,” the contributing authors examine human experience in the context of the Christmas season. In a manner exclusive to only the best literature, these stories elucidate emotions shared by all people. The stories affirm the power of family in the face of hardship, as exemplified in “Novena,” where a daughter welcomes her elderly mother into her home, or “Blue’s Holiday,” where a father dresses up as Santa for his aging daughter. Each character in every story is deeply developed, unifying the anthology with a pervading sense of quality authorship. 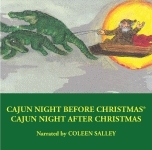 With an impressive ensemble of award-winning writers, including Pulitzer Prize-winner Robert Olen Butler, critically acclaimed Olympia Vernon, and Guggenheim Fellow Elizabeth Spencer, Christmas Stories from the South’s Best Writers provides sensitive and deeply felt reflections on the Christmas season from a mature and thoughtful perspective. Charline R. McCord received a PhD in English from the University of Southern Mississippi and has studied literature at Mississippi College and Oxford University. An arts activist and director of communications, McCord has extensive experience editing, publishing, and teaching. She has been writing short stories for more than twenty years and was the recipient of the Henry Bellamann Award in Creative Writing. McCord lives in Clinton, Mississippi. Mississippi native Judy H. Tucker is a playwright and freelance editor. She has received numerous awards for her plays, including a Literary Arts Fellowship from the Mississippi Arts Commission in 2007 and the Daughters of the American Revolution Evelyn Cole Peters Award for historical drama. She lives in Jackson, Mississippi. Click here for Chapter 1. Contributors List PDF Click here for the Front Matter.